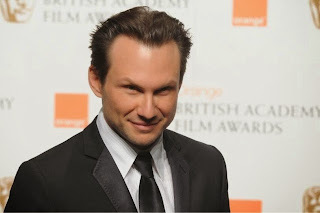 UNIVERSAL CITY – October 21, 2014 – Christian Slater (“Nymphomaniac,” “Adderall Diaries”) has been cast in the title role of USA Network’s cyber-crime pilot MR. ROBOT. Mr. Robot is a mysterious anarchist who recruits Elliot (Rami Malek) into an underground hacker organization intent on bringing down corporate America. The series also stars Rami Malek (“24”), Portia Doubleday (“Her”), Carly Chaikin (“Suburgatory”) and Martin Wallström (“Simple Simon”). MR. ROBOT is from Universal Cable Productions and is executive produced by Sam Esmail (“Comet”), Anonymous Content’s Steve Golin (“True Detective”) and Chad Hamilton (“Breakup at a Wedding”), and Niels Arden Oplev (Sweden’s “The Girl with the Dragon Tattoo,” “Under The Dome”). Slater is repped by United Talent Agency. MR. ROBOT is a culturally resonant drama about a young programmer, Elliot, who suffers from a debilitating anti-social disorder and decides that he can only connect to people by hacking them. He wields his skills as a weapon to protect the people that he cares about. Elliot will find himself in the intersection between a cybersecurity firm he works for and the underworld organizations that are recruiting him to bring down corporate America. In addition to MR. ROBOT, USA recently announced three pilots, including COLONY from executive producers Carlton Cuse (“Lost,” “Bates Motel”) and Ryan Condal (“Hercules”) and starring Sarah Wayne Callies (“The Walking Dead”) and Josh Holloway (“Lost”), STANISTAN starring Jennifer Carpenter (“Dexter”) and QUEEN OF THE SOUTH, based on the international best seller “La Reina Del Sur” by Arturo Pérez-Reverte. The #1 network in all of basic cable for an unprecedented eight straight years, USA Network is seen in over 102 million U.S. homes. USA is a leader in scripted programming with a powerful stable of originals, spectacular live television and is home to the best in blockbuster theatrical films, a broad portfolio of acquired series and entertainment events. A trailblazer in digital innovation and storytelling, USA is defining, driving and setting the industry standard for Social TV. USA is a program service of NBCUniversal Cable Entertainment, a division of NBCUniversal. The award-winning website is located at http://www.usanetwork.com. Universal Cable Productions (UCP) creates innovative and critically acclaimed original scripted and digital content across media platforms for domestic and international distribution. UCP’s content library spans classics such as Emmy-award winning, “Monk,” and cult favorites “Psych,” “Battlestar Galactica” and “Warehouse 13.” UCP’s programming can be seen across various networks, including: “Covert Affairs,” “Dig” (March 2015), “Playing House,” “Royal Pains,” “Satisfaction” and “Suits” on USA Network; “Ascension” (Dec. 2014), “Defiance,” “Dominion,” and “12 Monkeys” (Jan. 2015) on Syfy; “Girlfriends’ Guide To Divorce” (Dec. 2014) on Bravo; “Battlestar Galactica: Blood & Chrome” on Machinima Prime/YouTube, Syfy and DVD/Blu-Ray; and “Side Effects” on Awesomeness TV/YouTube. Universal Cable Productions is a part of NBCUniversal Cable Entertainment, a division of NBCUniversal, one of the world's leading media and entertainment companies. Follow us @UCPisTV.